Take a trip to cereal heaven with Cereal Trip by Bad Drip, a fruity cereal vape juice with creamy milk undertones. 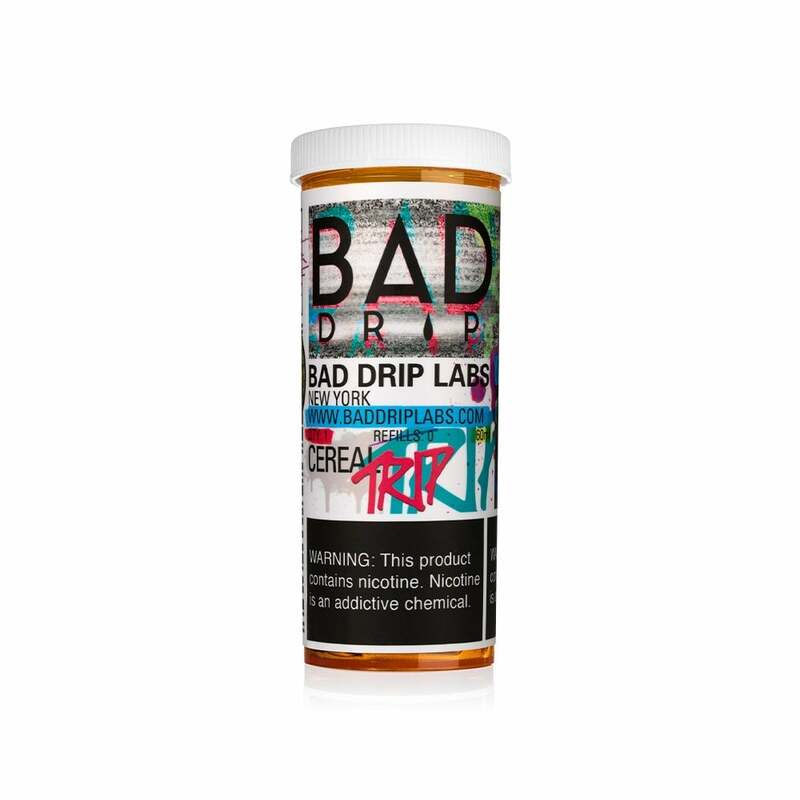 What sets Bad Drip's Cereal Trip apart from the rest of the other cereal vape juices out there is the imitable taste of frosted donut that's thrown into the already delightful flavor of fruity cereal. Cereal and donuts? What more could you ask for? Great flavor! Used up within a week. Was very disappointed that the dropper was shattered in the bottle upon arrival.